Adorable Gift Baskets delivered to Denver, CO. 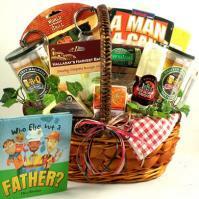 Send gourmet food, fruit, gifts and gift baskets to Denver, CO for holidays and all gift-giving occasions. Browse our selection of beautifully designed gift baskets by choosing a gift basket category that's fitting for the occasion. With our simple online gift basket ordering system, it's easier than ever to send gift baskets to Denver, Colorado and to loved ones nationwide. Art and culture buffs can tour one of the many museums or galleries in Denver, CO such as the Children's Museum of Denver, CO, the Black American West Museum and Heritage Center or the Denver Art Museum. At the Denver Museum of Nature and Science, the entire family will love sitting in on a movie at the IMAX Theater or viewing the Gates Planetarium. For a more colorful event, the Denver Botanic Gardens offers a relaxing tour of blossoming flowers and plants. Denver, CO visitors can also tour the Confluence Park or the Platte River Valley on an open trolley car at the Denver Rail Heritage Society. Also, there is the Denver Zoo with around 3,500 animals, including elephants, gorillas, leopards, rhinoceros and more! It's the fourth most popular zoo in the United States. Night life in Denver, Colordao is always hopping with a variety of jazz clubs, restaurants and many forms of live entertainment. Music concerts are held often at the Red Rocks Amphitheater, which seats around 9,000 people. This impressive arena was carved out of giant red rock boulders! For those visiting in winter, Denver's Winter Park creates a sensational ski atmosphere for the family with lodging, snow boarding, scenic rides by chair lift, mountain tours and more. Winter Park is also open during summer and offers exciting activities year round. From awe-inspiring scenery to thrilling attractions, Denver, CO is a great destination for travelers. Learn more about Denver, Colorado United States at the City of Denver Web site. Mile-High City: Denver, CO is the state capital of Colorado and has a population of around 610,345 as of 2009. The city sits at the foot of the Rocky Mountains on the South Platte River. Its nickname is "Mile-High City" because of the city's high elevation above the sea level. Nearby cities include Boulder, Aspen and Colorado Springs. With abundant sunshine, adorable sights and a throbbing downtown area, Denver, CO is sure to benefit tourists and residents alike. Denver, Colorado was founded in 1858 after gold was discovered where Cherry Creek meets South Platte River. The town was named after James W. Denver, who was Governor of Kansas Territory. Around 100,000 people migrated to the area in the late 1850s to early 1860s, giving a tremendous population boost for what would become the state of Colorado. In 1861, the Colorado Territory was established. Around 1870, Denver, CO became the second most populated city in the West, with San Francisco being first. However, the population boom slowed tremendously due to the depression of 1893. Denver, CO became a center for livestock, wheat, manufacturing and service industries by the early 1900s, and the population began to grow again. Then, other large industries such as oil and gas companies came to the area, causing another growth spurt in the 1940s and 1950s. Today, Denver, Colorado is known for solid structures in housing and buildings, transportation availability, telecommunication operations, and great skiing! Denver, CO also boasts the highest number of government employees in any state other than Washington, D.C. thanks to its large federal center. The downtown area of Denver, CO is the tenth largest in the United States. Those planning a visit to Denver, Colorado will find an array of attractions and sights to see. Downtown Denver, CO streets are lined with lovely cafes, galleries, shops and even historic buildings for exploring the city heritage. Walking downtown also reveals a panoramic view of the surrounding Rocky Mountains. Also downtown is Six Flags Elitch Gardens amusement park with thrilling roller coasters, a water park and festive events throughout the year. Sports fans will love Denver, CO because of its well-known teams, including the Denver Broncos, Colorado Rockies and the Denver Nuggets. Visitors can also attend a horse race or the National Western rodeo - one of the largest rodeos in the world.